With so many plums on hand, I've gotten creative. There's only so much jam you can make and give away when everyone else is also making it. It's sort of like "zucchini season" in Pennsylvania when everyone is overwhelmed with their harvest. 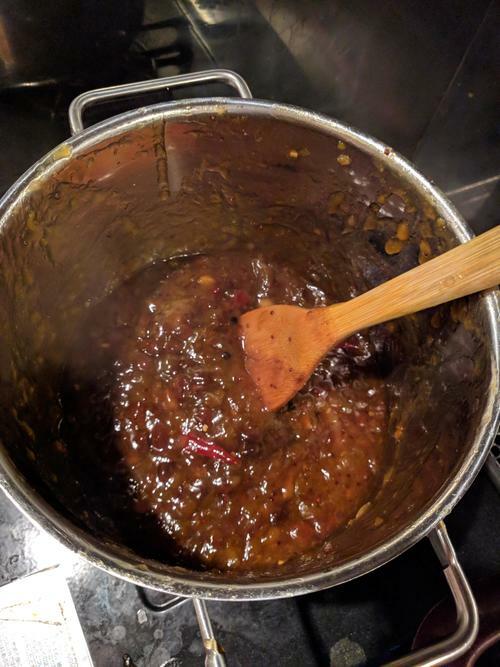 This is an adaptation of a British chutney recipe from Saveur. I localised it to use ingredients we can get here in Japan. Wash the ume and discard any with holes that show the fauna have been nibbling. Count the ume (optional but you'll be grateful for this later) Boil the ume until the skins break and the fruit is a little soft - this shaves hours off the total cooking time. Drain the water and set aside. In a large pan, bring the vinegar and two sugars to a simmer. When the sugar is dissolved, add everything except the plums. Bring back to a simmer and allow to cook for a few minutes. Add the plums. Simmer for 1-2 hours, stirring to avoid sticking. When the pits are obviously detatched from the fruit, fish them out with tongs or however you feel like doing it. When your pit count equals the ume count, from when you washed them, you can be confident you got them all. Put the pits in a strainer and smush the pulp back into the pot. Continue to simmer until the chuntey is a camelised brown and a soft channel forms when you run a spoon through the mixture. 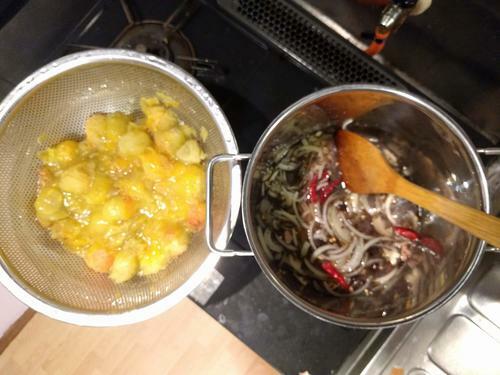 Transfer to sterilised jars, nad process them in a water bath in the standard canning procedure. Sealed jars should last a year unrefridgerated. Unsealed jars, about a month in the fridge. All the ume trees in our yard are producing plums like mad this year. 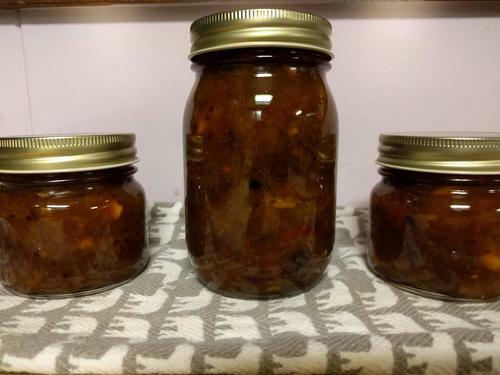 We made ume-shu and with the remainder of the first harvest I cooked up this jam. It's really good. I'll be making some more because we're harvesting plums every other day now. 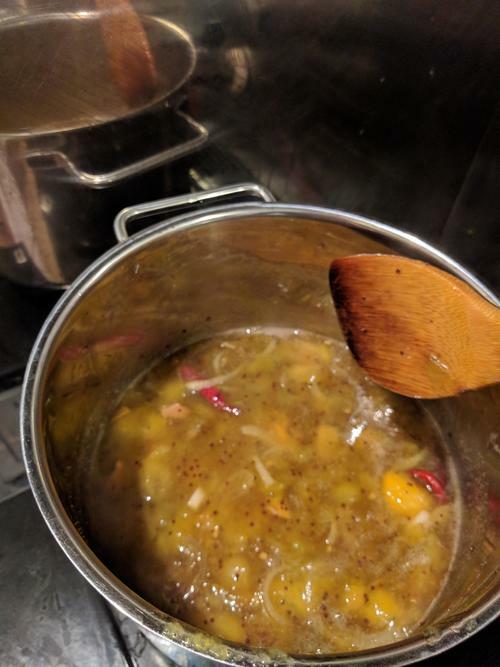 Boil ume in a large pot until the skins split. Drain. Consume with a month or so, or process the jars in the traditional canning method. 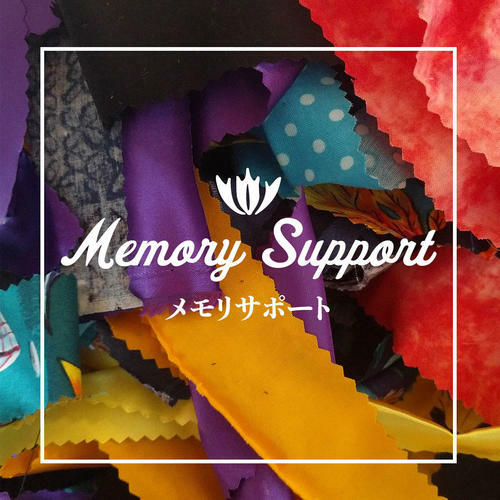 "Memory Support is a tribute to the forgotten stories of family and the remembered stories of friends. When the structure is full and and the cloth faded, I will burn it to send the memories to the sky, then bury the ashes to enrich the earth." This has been quite a year of making, reliving, questioning, and forgetting memories. From the brain fog of pre-menopause to my mother's dementia to the loss of several friends - I've been mired in memories. Overwhelmed by some sad news of a friend's tragic demise, I went outside to tidy the garden. I ended up building a structure of felled bamboo. It just seemed right and opened a flood of detailed memories about friends and family. 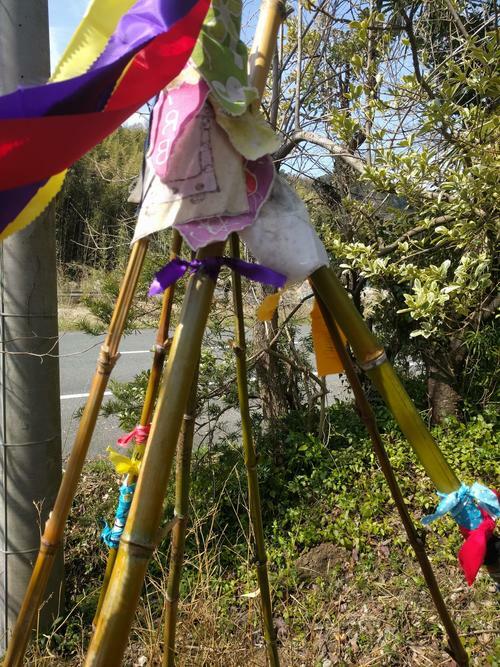 I was compelled to write some of these recollections on ribbons of cloth and tie these burst of color to the poles. Over the next few days, the collection grew and some friends joined me in adding their memories to the piece. Today, I am opening the project to the world. I invite you to add your memories to Memory Support. You're welcome to stop by in person and rummage in my bag for cloth and a pen. If you aren't nearby, you can participate via post. 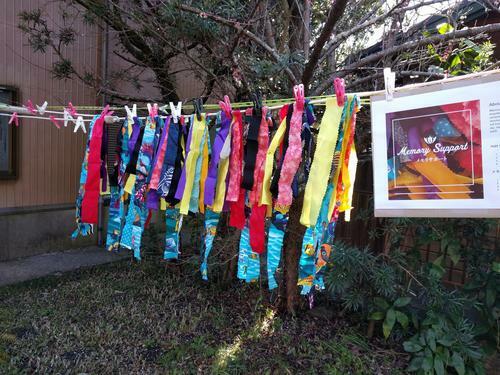 Write a memory on a strip of cloth or a ribbon at least 20cm/8in long. Any cloth is good and any memory you want to share is fine. You can create as many as you wish. Tie your memory to the structure, or send it to me and I will tie it on for you. Be careful what you wish for. First Italy, Vietnam, and China with Rob then triangulations among Kamogawa, Bangalore, and Ephrata. Always home and always homeless. 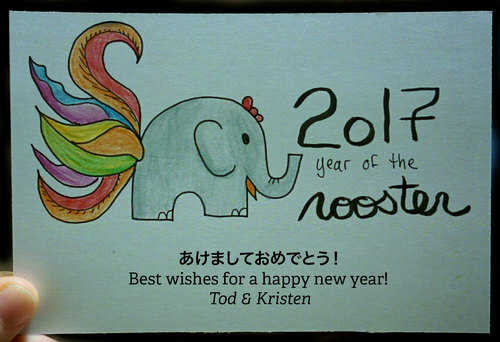 Half century joys: circus successes; drawing again; driver's license; warm neighbors; loving husband. Sorrows: multiverse branched and Zoupi vanished; my heart broke; mould ruined everything. A new era began with Japanese eijuuken and freedom to do anything! We quit Tokyo for rural Chiba. Now we have time, space, and ease.